Steven Sirianni first learned a deep appreciation of craftsmanship as a child in Los Angeles when his parents bought a heritage home and hired a master craftsman to restore it. Young Steven watched the restoration with fascination. To this day, the smell of the fresh oak shavings evokes the memory of this early awakening to his life’s calling. Steven worked in his father’s real estate business all through high school. Although a ready and prosperous career path awaited him in real estate, he continued to be drawn to the building of structures, not the selling of them. Steven pursued his love of carpentry by working as a framer during summers, while attending the University of Southern California. After graduation, he traveled to Umbria, Italy where he marveled at the beauty, durability and integrity of the ancient architecture. He went on to live in Japan on the southern island of Kyushu where once again he witnessed building as an honored craft. “The quiet and the order were absorbed into my being. I had to let go of some of my western forwardness and learn to receive the graciousness of a bow.” These rich experiences affirmed his determination to become a true craftsman. Steven founded Wall of Time Builders in Breckenridge, CO in 1996. He was married shortly after and he and wife Kirra had their first child in 1997. 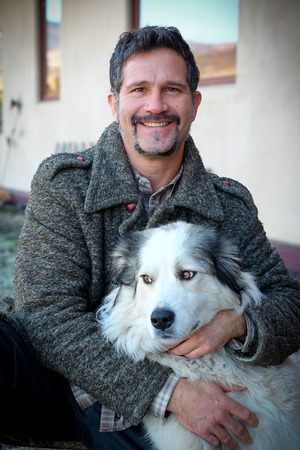 He moved the business to Santa Barbara, CA and finally to Ashland, OR where he has lived and worked since 1999. It was in Oregon that he began to learn about the principles of holistic natural building, inspired by a workshop with Ianto Evans and Linda Smiley at Cob Cottage. Steven’s dedication to these principles is evidenced in the construction of his own home which received an Earth Advantage Platinum Certification. When Steven was introduced to EcoNest in 2013, there was an instant mutual resonance. He has since taken all of the training qualifying him to be an EcoNest Affiliate and we are excited and honored to have this talented local craftsman and general contractor on board!